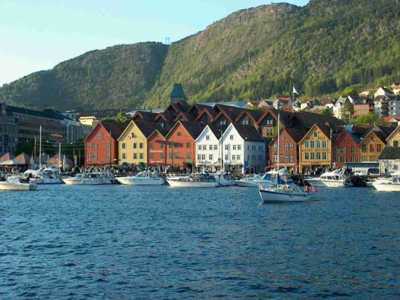 Bryggen, the old wharf of Bergen, is a reminder of the town's importance as part of the Hanseatic League's trading empire from the 14th to the mid-16th century. Many fires, the last in 1955, have ravaged the beautiful wooden houses of Bryggen but its main structure has been preserved. Many of the remaining 58 buildings are now used as artists' studios.